If you take birth control pills, you may want to know if they can help manage your migraines, or if they are working against you. For some women, birth control helps them to manage their headaches, for others the pills make migraines worse. It is not yet known why there is such a difference in human responses to the pill. For women who experience migraines from the birth control pills, incidences seem to occur during the last week of the cycle, when it’s time to take the placebos. Since they don’t contain any estrogen, estrogen levels drop abruptly. This could trigger a migraine in some women. Speak with your gynecologist or primary doctor if you think your birth control pills are giving you migraines, especially if they correlate with your menstrual cycle. If the doctor believes it will help, you may be switched to a pill package in which all the pill for the month contain estrogen, which may help stabilize estrogen levels. This may help improve your migraines. Getting enough sleep and eating healthy will help keep your migraines at bay. Interestingly, there are women had never experienced a migraine until they started using hormone pills. Once they started using birth control, they began developing excruciating headaches. Eliminate all placebo days by taking an extended-cycle estrogen-progestin birth control pill. 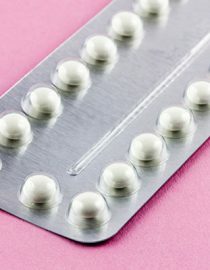 Take birth control without estrogen, like Micronor, if you are unable to take an estrogen-progestin birth control pill because of other reasons. Take birth control pills that have a lower dose of estrogen during the placebo days so that estrogen levels don’t plummet. Wear an estrogen patch during the placebo days. Take NSAIDs like ibuprofen and triptans during placebo days. You may use an estrogen skin patch for one of the placebo days. If you are one of the lucky ones, birth control pills may reduce or eliminate your migraines. They may reduce the frequency and severity of menstrual-related migraines. If you have migraines that are influenced by your menstruation cycle, you may want to ask your doctor if birth control pills would be worth a try. Explore this option with your doctor if you have not found any other types of treatment that work. Headaches and Hormones: what’s the connection?